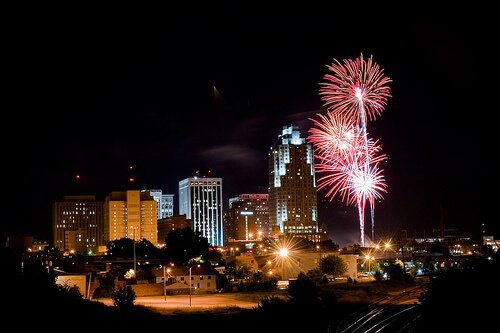 Welcome to the city of Raleigh NC for ultimate surprises for 4th of July. The nation’s birthday is celebrated on a grand scale and people look up to it. Whether you are sitting back home watching the TV or stepping outside the house to celebrate, both the experiences are great. Get ready to enjoy live concerts, evening parties, music, dance, and games on 4th of July. 4th of July Raleigh NC Fireworks Live Stream Tips promise to bring you more fun and friendly moments with friends and family. Along with fireworks come live music, games, and other activities. Five County Stadium hosts live music with fireworks at night. The grand event lasts for 4 days from July 2nd to July 5th. Another spectacular place to spot the Independence Day fireworks will be held in the town of Wake Forest. 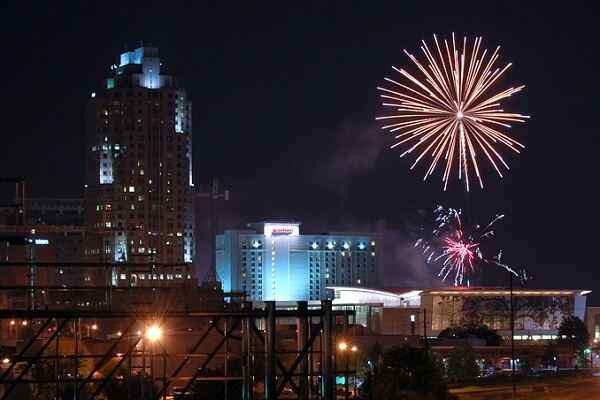 WTVD-TV and WUNC channels will provide you live streaming of fireworks in Raleigh. Most news channels broadcast the live fireworks from the town of Morrisville. If you wish to watch the grand 4th of July Raleigh NC Parade, the Downtown Apex hosts Uncle Sam’s Parade of Wheels at noon. Weaver Street Market Lawn also hosts a kids’ parade at 10:50 am. Along with the parade, enjoy a host of kiddie rides and thrilling eating contests. Get ready from 8:30 am in the morning and enjoy until it lasts till 5 pm or even beyond at some places in Raleigh. 4th of July Raleigh NC Events and Parties are best celebrated at Cary Arts Center. Paint the town red with your presence and fall in love with your nation and its people. Lake Benson Park arranges cute inflatables, food vendors, and games every year on Independence Day celebrations. Sit for a musical day loaded with entertainment and other interesting activities. Take some time to visit the Wake Forest for some killer fireworks. The gates for the Freedom Day celebrations open at 5:30 pm. The entry ticket charges the adult $5 and the entry for the kids under 6 is free. The visitors enjoy houseful of games, food trucks, splendid fireworks, and more on this special day. People make the most of it on their nation’s birthday. Article last re-published on June 19, 2018.